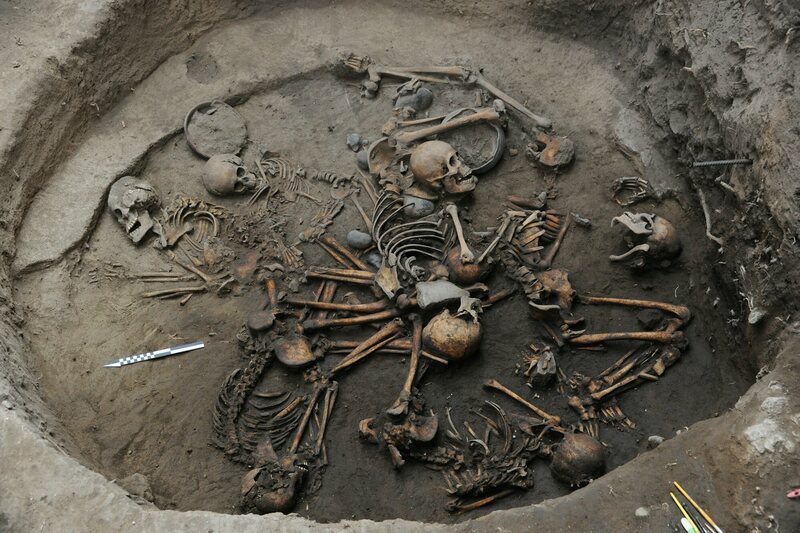 The remains in a burial under Mexico City appear to have been arranged in a spiral. Religious sacrifice and elaborate funeral rites played important roles in a number of ancient Mesoamerican civilizations, including the Maya and the Aztecs. So it is with seeming regularity that archaeologists excavating under Mexico City unearth bones in unusual arrangements and dispositions, from an Aztec temple containing 32 sets of neck bones to elaborate racks of mounted skulls. It takes a lot to surprise archaeologists with the National Institute of Anthropology and History (INAH), but a recent find accomplished the feat. Beneath the Pontifical University of Mexico in the Tlalpan area of the city, they uncovered 10 h uman skeletons were arranged in spiral shape, that appear to have been buried with interlocking arms. As explained in a statement, this 2,400-year-old grave is the most âpeculiarâ find at the site, which has been excavated since 2006. 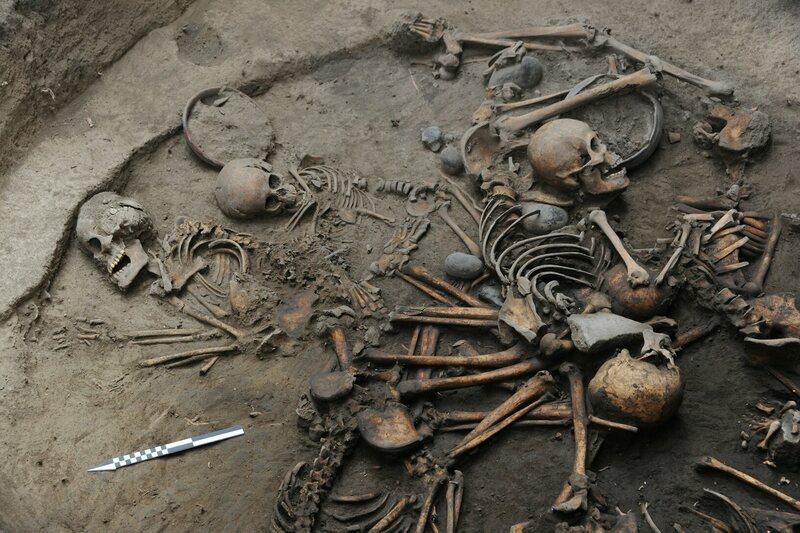 It is also the largest number of skeletons found in a single burial from the Preclassic period of Mesoamerican history (2000 B.C.â"A.D. 200). A detail of the grave. Jimena Rivera, an arch aeologist at INAH who lead the excavations, explained to Mexican news channel Televisa that the wide range of ages in the burial suggests they might have symbolized different phases of life. How do you get out of military service? These South Koreans tried to gain weight â fast.